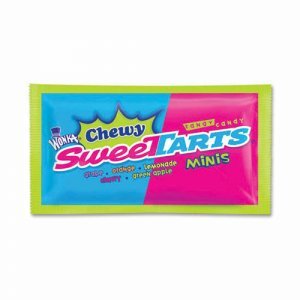 Chewy Sweet Tarts Combines sweet and tart in one treat so you don't have to choose, grab yours today and experience both sides of heaven! Greetings to you from Willy WONKA himself. Tremendous things are in store for you. Many tasty treats await you. 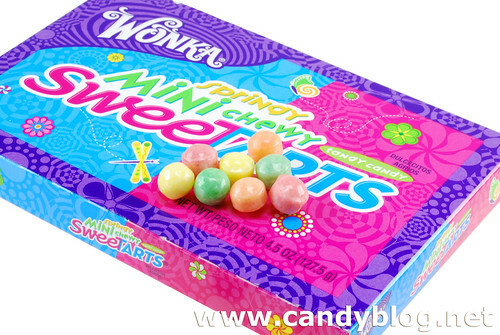 Inside this scrumdiddlyumptious package of WONKA SweeTARTS Mini Chewy Tangy Candy, you will find mystic and marvelous surprises that will entrance, intrigue and delight you beyond measure. So don't just stand there with your mouth open. Go on. Feed your imagination. Balance is the key to healthy eating. 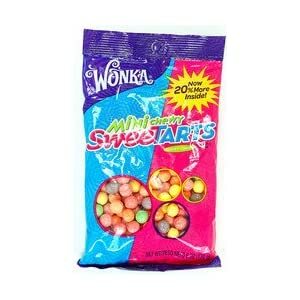 Confections, in moderation, can be part of a healthy diet.